aturday night, I passed up an outing and opted to stay home curled up on the couch listening to the thunderstorm with Toby by my side - the perfect setting to get lost in a good book. I don't know why I'd waited two years to open it up, but I'd finally started reading The Lovely Bones a couple weeks ago. And during that time I'd been slowly digesting it in bits here and there on my train rides. It wasn't as quick as I thought it'd be, at least not the first half, and in retrospect I'm glad. It forced me to slow down and really experience Susie Salmon's worlds - both the one she leaves behind after she's brutally raped and murdered and then one that allows her to watch over those still living. The story is told from the 14-year-old's perspective and I have to say she's quite eloquent for someone her age. The way she describes her heaven and how her family and friends each deal with the grief that follows is both heartbreaking and beautiful. When I sat to read the final third, there really was no use in holding back the tears. I was so moved, that I started thinking about the people important to me. I thought about how much I hold back on telling them how much they mean to me. About how we've let time, distance and little disagreements get in the way of showing that at the end of the day we simply care. Be it because our pride gets in the way or because fear stops us in our tracks, we don't say how we truly feel often enough. But because I don't know anyone who wouldn't want to hear they're loved or missed right before drifting off for the night, I sent three little texts to three special people. And though the tears still rolled onto my pillowcase as I pulled the covers over my head, a nice calm came over me and I feel asleep with a soothed heart. I wonder if the movie (out in December) will have this same effect. I hope you got three sweet text messages in return. I suspect they all love you very much. I'm reading a book titled, "Walking in Circles Before Lying Down" by Merrill Markoe. I hope its just as good and as moving as the book you just read. omg i just saw the trailer and i am requesting a date with you for this lol...for some reason it seems more suspenseful than the book. wow that looks good.. and really creepy! I never got past the first half of the book... everything was so sloooooowwwwwwwwwwwwww. The movie looks better. Film will never be as good as book. Fact. Especially this book, which was phenomenal. The movie is getting all sorts of good buzz. I have this book and it's been taken back and forth from uni for nearly 3 years now and is left unread. I need to read it! This book is on my Goodreads list and I am really looking forward to reading it. I think the movie is going to be pretty good too. Saoirse Ronan is incredibly talented for such a young lady! I've walked past this book several times. I think I will just pick it up and curl up for what sounds to be a great read. Yeah, turns out you're not invited. lol, lucky for me, i dont need an invite to tag along! ps. my paper is actually by some miracle done (putting the citation and editing touches right now), so ill be coming through saturday afternoon, need me to bring la faldita rosada? I swung by after work tonight and grabbed it. But I'll be around! el diache, ladrona coño! no tuviste la decencia de darme ni un lil heads up!?? como te queda? mira si me daña esa vaina, van a ver consequencias! ps. 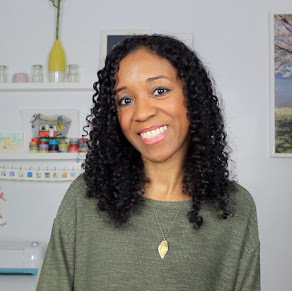 mi nombre es dama, y soy dominicana. Mona, you'd already given me the go-ahead...so I went ahead and took it. And no, I haven't tried it on yet. One of these days talvez. That was a lovely post, and sounds like a good book. The Lovely Bones is a superb thriller and drama movie. This movie was implausible and I just loved the way it was. 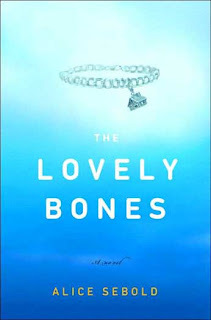 You must watch The Lovely Bones, I bet that you will enjoy this movie like the book.